All current parents and guardians of CPMS students are automatically members of the PTC. Our events, programs, school support, and enthusiasm make up this vibrant volunteer community and are indeed, POWERED BY YOU. So let's keep Cedar Park awesome! The Cedar Park PTC’s only major fundraiser is gaining momentum as we countdown to Thursday, 10/4. The generous donors of Cedar Park have already donated over $11,000 towards our $50,000 (and beyond!) goal, but we've still got a long way to go before we successfully cross the finish line. Currently the 6th grade is ahead of the team competition, working hard to earn that class party. Next week, every $50 raised through a student’s firstgiving fundraising page will earn them on entry to win two tickets to the 10/21 Timbers home game. CLICK HERE TO BEGIN YOUR HERO'S JOURNEY & build a Firstgiving 5K online page. Got 5K questions? We’ve got answers. Read on to have your mind blown about this fabulous fall event. Why should I care about this fundraiser? Great question. The Cedar Park 5K is the PTC's only fundraiser of the year. If the goal is not reached, than additional fundraisers will need to be added into the school year, which is an absolute drag. By raising all our money this fall, parents can sit back, relax, and watch all our hard-earned donations be spent all year. But seriously. What does it fund? Where does my money go? This 5K does all the heavy lifting– bulking up the robotics lab, supplementing our after-school clubs, providing transportation for enriching field trips, and most importantly, filling in those gaps where the regular school budget just ain’t cutting it. Need more examples? Check out the loooong list of what the PTC funded last school year. I want the gritty details. Check out the PTC budget or a list of all our PTC programs and activities. The size of your donation is completely & totally up to you. We value PARTICIPATION over fiscal amounts, any day. Even ONE DOLLAR is appreciated. But, if you’re looking for more direction, know that next week’s drawing for Timbers tickets is based on $50 increments. If every student brought in $100, we would exceed $100,000. EVERY DOLLAR COUNTS, so please contribute whatever you can! I'm having tech issues with Firstgiving. We get it. Email Karen (cedarpark5k@gmail.com) and we can troubleshoot you through the problem and get back to the important work of keeping Cedar Park awesome. Emails not importing? Try adding them manually. I have zero intention of setting up a fundraising page. Can I still donate? Absolutely. Setting up a personal fundraising page is not required. To just donate online, head to our 5K Firstgiving site and click on "Donate." You will then be prompted to select a team to support or simply to donate to the cause. If you'd prefer to pay by cash or check, you can return donations to the school via the envelope that went home. Somehow my middle schooler never came home with the 5K packet. Huh. Imagine that. Not a problem. 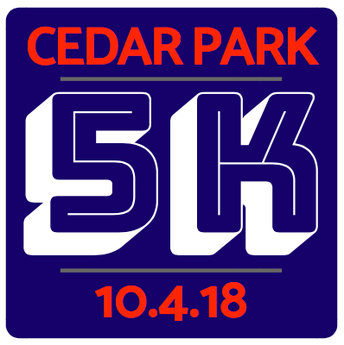 After the 5K, return your donation in any envelope, but include the pledge form and clearly mark the outside as "Cedar Park 5K." Our offline donors need 5K receipts. I'm not sure if my company will match my donation. FREE MONEY, BABY! Head to www.cedarparkptc.org/matching for an employer search engine to see if your company will match your generous donation. We also have Nike, Intel, and Columbia instructions that take you step by step through the process. Let's work smarter, not harder, Cedar Park! I still have questions about the 5K. Start at www.cedarparkptc.org/fundraising. If you still have questions, email Karen, our 5K Chair at cedarpark5k@gmail.com. Okay, I'm in. Where do I start? Join the cause at https://www.firstgiving.com/411287/cedar-park-5k. Last Monday evening, Cedar Park parents gathered to connect and learn about CPMS and the Parent Teacher Club (PTC). This casual event was a new endeavor to better bring our parents and community together at the start of the school year. 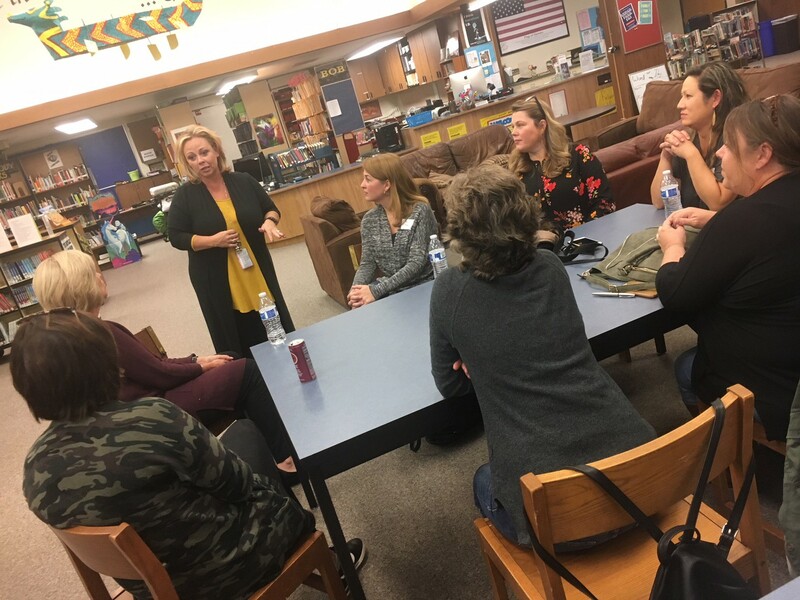 Dr. Anderson was on hand to answer questions in a small group setting, while PTC Board members presented information about volunteering, fundraising, committees, and various parent opportunities at Cedar Park. Spend a moment to step through the night’s slideshow to learn a thing or two about Cedar Park’s PTC, committee news, and general updates. We can't make magic happen without a solid support team. Volunteer shifts are live for the 5K on Thursday, 10/4. (Helpful tip: In the Opportunities tab, filter results by Cedar Park Middle School). All parents are welcome and encouraged to attend. Meet some fellow Cedar Park parents, cheer on your cherub, and become a part of the 5K movement on 10/4. A background check is required, so be sure and have an active mVP profile. More info at www.cedarparkptc.org/volunteering. Thank you to the generous Cedar Park parents who donated to yesterday's first PTC Staff Appreciation event of the year. 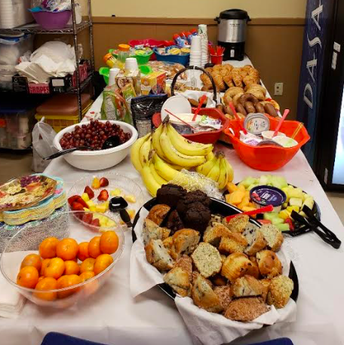 Over 100 CPMS staff members enjoyed bagels, croissants, muffins, coffee, fruit and juice provided by YOU, the awesome parents of Cedar Park. Be on the lookout for next month's Staff Appreciation sign-up for 10/25-- tailgating! This year's new volunteer initiative, Wolf Work Days, had a productive first session last Thursday. 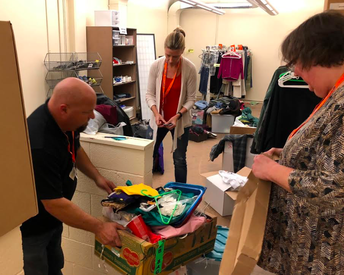 Eight PTC volunteers braved an upstairs storage room to sort, clean, and organize it back to life. THANK YOU to these everyday heroes for working to keep Cedar Park awesome. Wolf Work Days will be every third Thursday from 2-4pm. Volunteers will attack different areas of Cedar Park including outdoor areas, closets, or storage areas. The goals are to meet & socialize with other parents while improving CPMS piece by piece. Don't miss next month's Wolf Work Day on 10/18. Cedar Park PTC is fortunate to have so many parents step up and into larger roles. However, we do have several committees that still need additional leadership. Please contact Jennifer Rafanan if you are interested in keeping Cedar Park awesome through taking on one of these events. SPRING 2019: Together with CPMS staff, organize and execute the 8th Grade BBQ/Luncheon that serves as the end of year send-off. SPRING 2019: Organize food, decorations & volunteers for annual awards breakfast for 8th graders at Cedar Park. The breakfast takes place from 8:00 to 9:00 a.m. in June. Organize & assist CPMS staff with this new District initiative to improve attendance. Once a quarter, students with perfect attendance will be invited to the gym for donuts and downtime to celebrate their perfect attendance. JANUARY 2019 & JUNE 2019: Join a team to collaborate with staff to plan student socials at the end of each semester. Assist our Cedar Park librarian with promotion and coordination of this fun literacy program. A full list of our Cedar Park PTC committees can be found here. The Cedar Park AVID (Advancement Via Individual Determination) program is seeking volunteers! AVID is a school-wide system that supports students in developing the skills needed to be college/career ready. The AVID elective classes would love to host guest speakers from the Cedar Park community to talk to students about their college experiences and career paths. We also have a need for AVID tutors who would help to facilitate tutorials twice a week with a group of 6-7 students. The time commitment is about 45 minutes a day on Tuesdays and Thursdays in one of the AVID elective classes. Tutorials are student-run inquiry circles that help students navigate their core class content. Beaverton School District provides the necessary training and materials to be an AVID tutor. Want to learn more about AVID? Find out more at www.avid.org. Cedar Park has once again been the recipient of a Beaverton Education Foundation grant to help support our after school clubs. This year's grant of $12,500 is an increase from last year and will help provide transportation home to all participating students. "We have an ongoing and very productive partnership with BEF. They are particularly active in helping with our soccer program and helping to facilitate soccer tournaments attended by multiple BSD middle schools," comments CPMS Vice Principal, Michael Alpert. After school clubs are Tuesdays and Thursdays until 4:45pm, from mid-October to mid-May. This year's lineup includes Unity Club, Coding Club, Kettlebells, Lit Club, Soccer Club, Basketball and Year Book. More information regarding club applications will be out later in September. Join Cedar Park principal, Dr. Shannon Anderson, for an informal gathering on Monday, 10/1. This event will be a chance for CPMS parents to meet, ask questions, and share ideas with our CPMS administration. 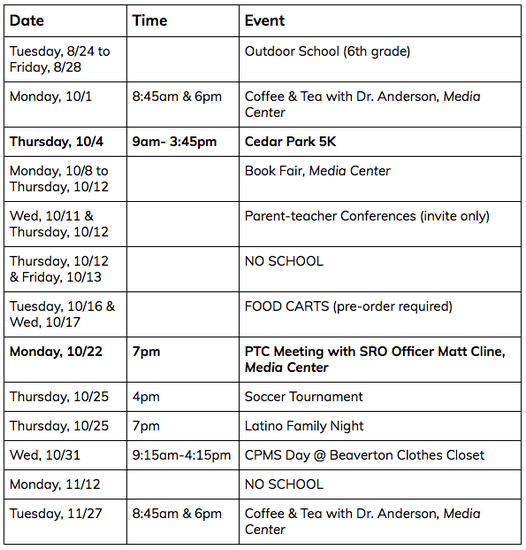 Learn more about the policies, practices and academics at CPMS in a smaller setting and meet other Cedar Park parents. Two sessions will be offered in the CPMS Library-- at 8:45am and 6pm. ALL PARENTS are welcome and encouraged to attend. The annual CPMS Book Fair is scheduled for this October during the week of conferences. Monday, 10/8 & Tuesday, 10/9. 8am-4pm. Wednesday, 10/10 & Thursday, 10/11. 8am-8pm. Volunteer shifts are also available. Don't miss this chance to witness Cedar Park life while supporting our CPMS library. Let's get these kids off Fortnite and into a good book! Our Cedar Park Spanish team has organized two food trucks to visit Cedar Park on Tuesday, 10/16 and Wed, 10/17. This exciting opportunity allows students to try authentic food from Spanish-speaking countries. 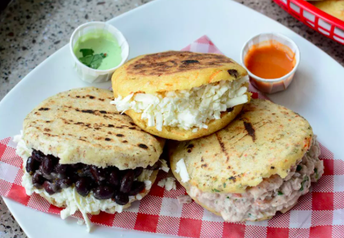 One food cart with Argentinian food (Abuela Chona) and one food cart with Venezuelan food (La arepa) will be onsite. This food experience is totally optional. Interested students will need to fill out the ordering form found in their Canvas calendar. Students are limited to one order from one food truck. Price is $10 and can be purchased online or through cash/check to the front office. Students must preorder and prepay prior to the event. More info and menus can be found here. Feel free to help the teachers those days! Students will attend the food carts on the day they have Spanish. Huge thanks to our Spanish teachers, Ms. Catherall and Ms. Stevens, for making this opportunity possible! Cedar Park's Safety Resource Officer, Matt Cline, will be discussing effective ways to keep our children safe online on Monday, 10/22 at 7pm in the CPMS Media Center (library). Join him and the PTC Board at the October PTC meeting to learn tools, apps and other ways to monitor and protect your student's digital life. 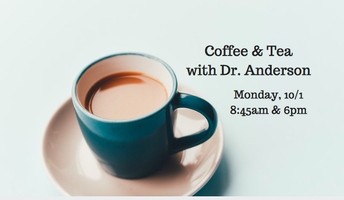 Join us to learn more about this important and relevant topic! Mark your calendars for Cedar Park's annual Latino Family Night. 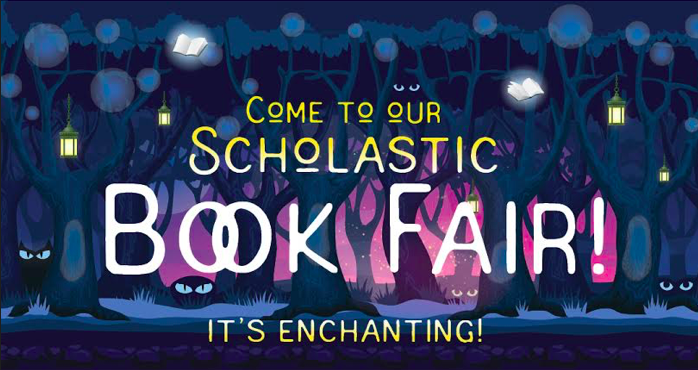 The fun begins at 7pm on Thursday, 10/25. Don't miss out on this awesome opportunity to build Cedar Park connections and learn more about CPMS. Look for more details in October. All opportunities are scheduled through the mVP system. Hit the "Opportunities" tab and filter by "Cedar Park Middle School" to easily see sign-ups. AVID tutors (Tues/Thurs) Email Richard_feely@beaverton.k12.or.us. All parent and community volunteers are required to have an mVP profile. Head to www.cedarparkptc.org/volunteering for more details. NEVER MISS A THING. Community members can subscribe to the PTC blog at www.cedarparkptc.org/news to receive the latest news on the day it posts. Prefer social media? Find us on Facebook.